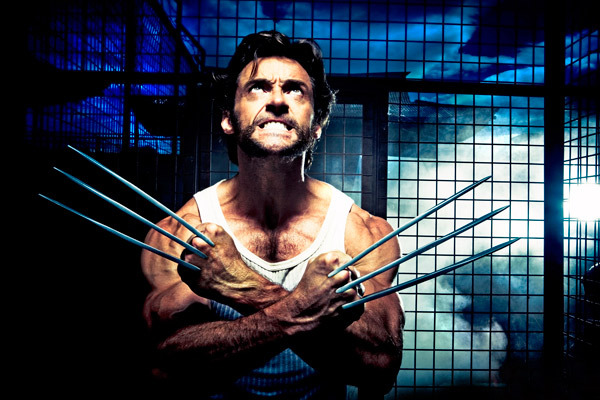 X-Men Origins: Wolverine tells the origin story of many people's favorite X-Man, Wolverine. He was never my favorite, but I guess a lot of people really go for the gruff guy with amnesia who acts like he hates everything. And I do admit, his claw blades are pretty cool. I already know this movie was kind of a disappoint to a lot of folks, and I can surely understand why, but it also had its positive attributes, and in fact I would even venture to say it was pretty good until we started getting into acts two and three. 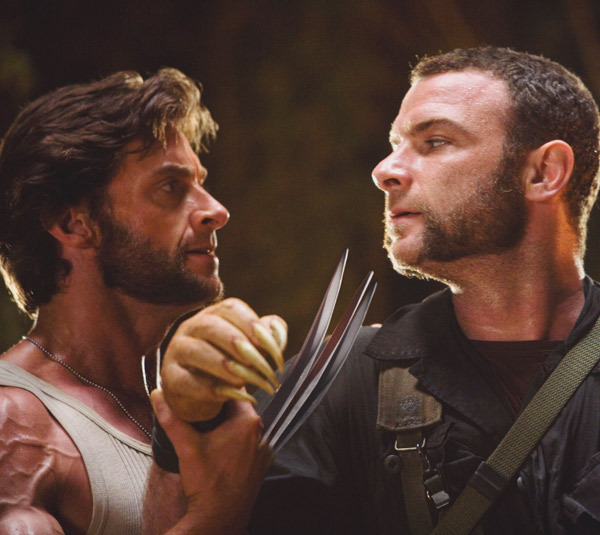 We start out seeing Wolverine and his brother, Sabertooth, as young kids before they had their cool nicknames. After an unfortunate incident takes place, the pair are forced to flee their home, and we are treated to a very nice opening credits sequence where we see the two fighting in the American Civil War, World War I, World War II, and Vietnam. It's a great montage sequence shown with some real style. Eventually, Sabertooth goes too far, and the two are placed before a firing squad. The thing is, both brother's have an extreme healing ability, so neither dies. Now we're in present day-ish, with the pair imprisoned in a military cell. Major William Stryker pays them a visit and invites them to be a part of a new special team composed of other mutants. Of course they agree, and thus find themselves onboard a transport plane bound for some destination with their new teammates, Wade Wilson, Chris Bradley, Agent Zero, John Wraith, and Fred Dukes. 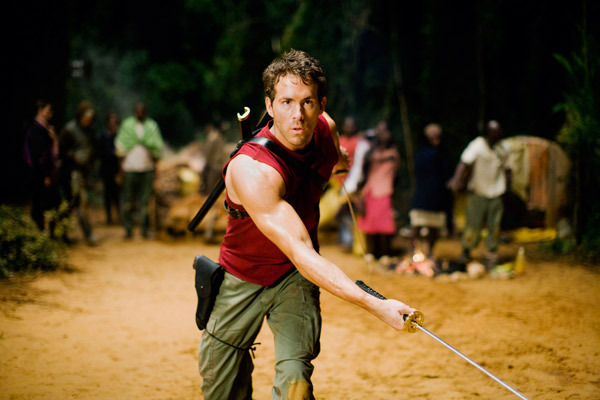 Out of all these guys, the only one I've ever heard of before was Wade Wilson, aka Deadpool. Anyway, I'm not sure if this was really their first mission or what the timeline is here, but it seems like they do this mission, which leads them to another location where Wolverine doesn't like the way the team and it's leader, Stryker, are treating civilians, so he quits the group. Stryker returns and tells Wolverine that he can be made invincible so he can beat his brother and put a stop to the killings. Wolverine agrees, and we get the iconic scene where Wolverine first gets the adamantium metal bounded to his bones. Then he overhears Stryker giving an order to have Wolverine's memory erased, so he busts out of that joint! Stryker sends out people to bring him back in... which is another plot point that really doesn't make any since to me. He just admitted that they successfully made Wolverine invincible, and now he thinks that somehow his special forces people are going to somehow stop Wolverine? Not only that, but later he takes out a adamantium bullet and says this is the only thing that can stop Wolverine... uh, so shouldn't you be giving those to the guys you just sent to take Wolverine down? Anyway, Wolverine is still trying to track down Sabertooth to extract his revenge, so he starts with Dukes and Wraith. After a little coercing, Dukes tells him that Sabertooth and Stryker are working together to capture mutants and experiment on them at some mysterious island that only one mutant has ever escaped from... and that would be Gambit. So he finds Gambit (quite easily, I might add, while Stryker for some reason has been unable to do so) and asks him the location of the island, but Gambit thinks Wolverine was sent to recapture him, which makes all kind of sense considering Wolverine just asked where the island was located. Because, you know, they forgot to tell him where to bring Gambit after capturing him... yeah, that makes perfect sense. During their rumble, Wolverine spots Sabertooth and immediately starts attacking. Wolverine is fierce here, and would have had Sabertooth no problem if Gambit hadn't, for some crazy unknown reason, decided to jump in and start attacking Wolverine again. It's like, what is going on here? Gambit was free and clear to get away, which I kinda thought is what he wanted. But instead he helps Sabertooth, the guy mainly responsible for capturing the mutants for Stryker's experiments. So Sabertooth was not the guy that captured Gambit the first time? And Gambit never saw Sabertooth the whole time he was captured? And he wants to kill Wolverine why exactly? After Sabertooth gets away, Gambit finally believes what Wolverine is saying, and tells him the mysterious island is Three Mile Island. What?! So when Wolverine first asked Gambit where the island was, instead of Gambit going crazy and attacking, all he had to do was say Three Mile Island? It's not like it's some mysterious island out of sea that can only be found if you know the exact way to get there requiring him to go with Wolverine to show him the way... no, it's Three Mile Island. All he had to say is "it's Three Mile Island" and Wolverine would be like, "okay, thanks bub". And it gets even more silly after that, which I won't go into. It's really too bad, because I enjoyed the action scenes and Hugh Jackman looked ripped and fierce just as I would expect from Wolverine. He really got that character down but it was ruined by the silliness of the story. We can only suspend disbelief to a certain extent, and this movie went way beyond that extent. 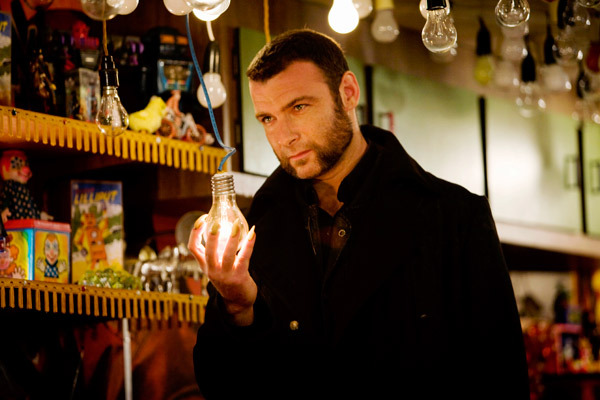 Especially when we get to the part of admantium bullets and Wolverine's memory loss... who the heck came up with that? 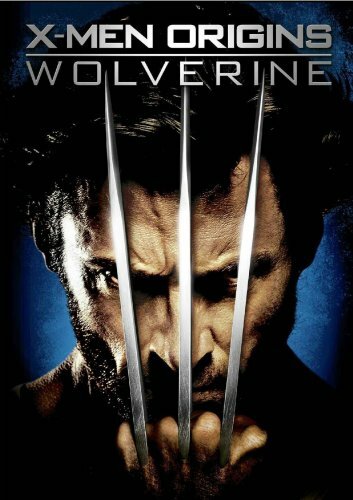 As for extra features on the DVD, there is a Wolverine Unleashed: The Complete Origins" featurette. It's about twelve minutes long and not bad, but wish it would have been more detailed, comparing his movie origin story with the comic version. When it comes down to it, this was fun to watch, but doesn't have the substance needed to make it a great movie, and I think seeing it once in the theater and then once on DVD was plenty.